Summer is almost here and you know what that means… The Evo Summer Cinema Series at Stanley Park returns with free outdoor movies every Tuesday night from July 5 to August 23! DailyHive Vancouver has just announced this summer’s movie schedule, and the line-up looks better than ever. 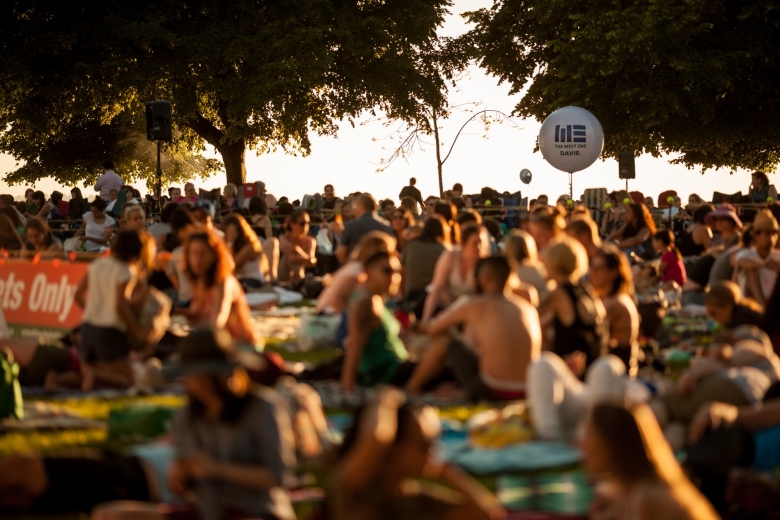 If you haven’t been before, movies will be screened on a four-storey inflatable movie screen, turning Ceperley Meadow at Second Beach into an outdoor cinema which draws thousands of Vancouverites every Tuesday night. Movie goers are encouraged to walk, take transit, or bike out to Stanley Park – The Bicycle Valet will be available on site each night to keep your ride safe and sound. Lawn seating at Ceperley Meadows is free, but be sure to get there early as it’s first-come-first-serve seating. There’s lots of pre-show activities, including games, prizes, and giveaways to participate in as well as the weekly food truck fair and classic movie treats. For a guaranteed seating, you can reserve a seat in the Gold Circle VIP area for just $20. Also, stay tuned for the West End BIA to announce details on our Dinner And A Movie Package very soon!